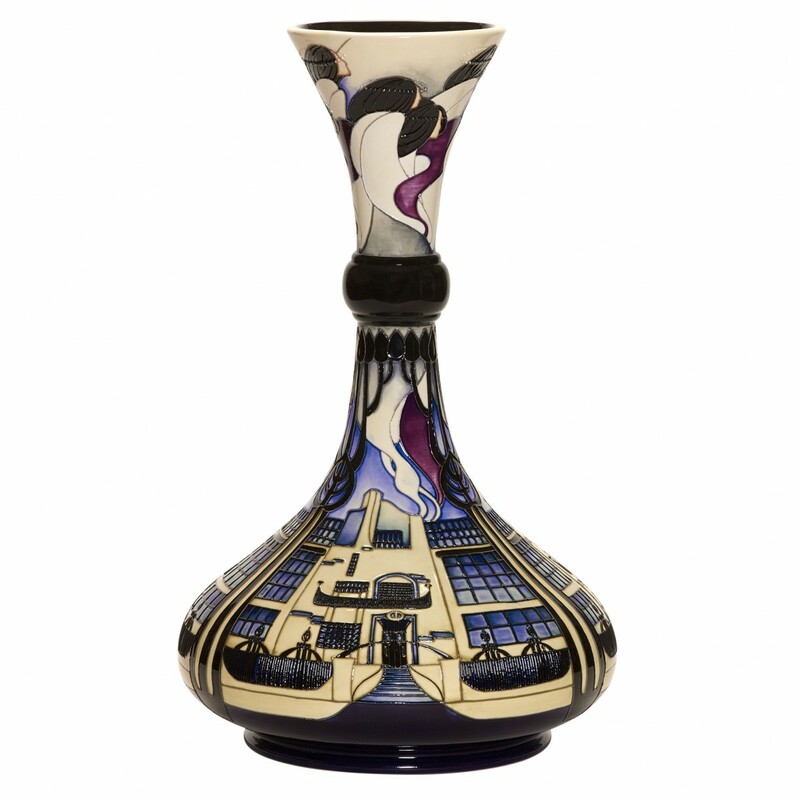 Anyone with just the slightest interest in Moorcroft, will know that the work of Mackintosh has played a great role in the evolution of Moorcroft and, inevitably, has been a huge influence on Moorcroft designers. Mackintosh roses are a worldwide symbol of design excellence; his building designs have been a bedrock inspiration for modern architects. Emma’s evocative design, is a touching vision of the 1909 building lost to a devastating fire in May 2014 and then for a second time in 2018. Emotive shades of blues and lilac are the only colours to grace the vase, in which delicately etched window panes meet iconic iron railings. With heads bowing in respect, Mackintosh’s willowy female forms wisp their way to the heavens, with heads crowned in dotted halos.